For years, Cirrus has been helping hunters improve their odds of bagging that trophy bull or buck. Checking the wind has never been easier or more convenient. With the press of a button, hunters can get an accurate indication of the wind speed and direction. And thanks to a rechargeable, long-lasting lithium ion battery and replaceable cartridges, you’ll never have to worry about running empty when your miles from camp. Now, with the introduction of the Cirrus Pro, hunters have even more capabilities in the palm of their hand. 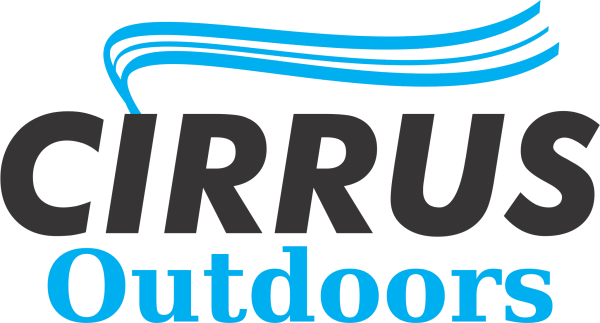 The Cirrus Pro maintains all the same use and functionality as the original Cirrus Wind Indicator. But where the original wind indicator stops, the Cirrus Pro is just getting started. Hunters can now take advantage of a built in SD Card reader for in-field viewing of photos. With the use of an app on your smart phone, checking your trail camera pictures has never been easier. Simply replace the SD card in your trail camera while heading to your tree stand and plug the original into your Cirrus Pro. Fire up the Cirrus Pro app on your iOS or Android smart phone and you’re instantly reviewing your latest images. From the app, hunters can immediately like, share, and manage photos. And thanks to the onboard USB drive, a drained cell phone battery won’t stop you from checking trail camera images or staying in contact with your hunting party. Cirrus Outdoors got its start by finding an innovative new way to solve an age-old hunting problem. When chasing wild game with the sole goal of survival, understanding wind speed and direction is critical for hunters. Forget about powders and dusts and playing with grass and leaves to check your wind direction. Using vapor emitted from the compact device, hunters can trust Cirrus indicators for the most accurate reading of wind speed, direction, and changing thermals. Cirrus indicators incorporate technology in a truly innovative way adding safety and security to your arsenal. The multi-color LED lights can be used to aid in tracking or finding your way in the dark. The onboard battery also acts as a backup power bank for your other electronic devices. With the Cirrus Pro you’ll never have to worry about misreading wind or being lost without a backup power supply ever again. Cartridges for the indicator are easy to replace and each boast over 1,000 uses. The long-lasting battery on Cirrus indicators can maintain power for over 100 hours on a single charge. When you’re ready to get serious about your hunting tech, look no further than the Cirrus Pro from Cirrus Outdoors.